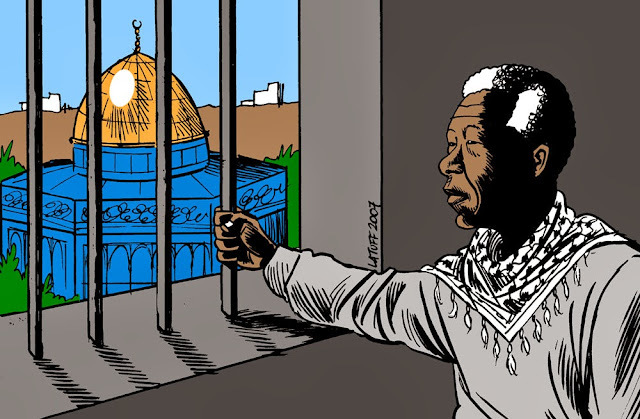 ( December 7, 2013, Colombo, Sri Lanka Guardian) With the passing away of Nelson Mandela the world has lost one of the greatest and most extraordinary human beings of modern times who showed that change that improved the lives of all around was possible. As the first post-apartheid era President of South Africa, he led the transformation of his country from one that was ostracized by the world to one that is admired as a beacon of hope. The National Peace believes that his greatest contribution to South Africa and to the world was to ensure that anger over crimes of the past, including his 27 years as a political prisoner, would not motivate future laws and actions. Key to the transformation in South Africa was the establishment of the Truth and Reconciliation Commission (TRC) in 1995. It gave priority to reconciliation but not at the cost of truth. It also highlighted the need for bipartisanship at the highest level of political leadership with the government and opposition in agreement. Even though the South African TRC cannot be replicated in full in Sri Lanka, a deeper study of the TRC process will highlight that it forged a political path that upheld both truth and reconciliation as the highest values and turned South Africa into a democracy. There is speculation that the Sri Lankan government is contemplating establishing a Truth and Reconciliation Commission (TRC) on the lines of the South African TRC. Sri Lankan government sources have disclosed that the possibility of South African assistance to Sri Lanka was discussed by Sri Lankan President Mahinda Rajapaksa and South African President Jacob Zuma on the sidelines of the Commonwealth Heads of Government Meeting last month in Colombo. This bilateral meeting was preceded by several visits to South Africa by members of the Sri Lankan government and opposition. The National Peace Council welcomes the initiative to establish a TRC or similar mechanism that has the support of a respected member of the international community like South Africa. We have been concerned by the increased confrontation between the Sri Lankan government and the international community on the issue of accountability. More than four years after the end of the war, Sri Lanka remains internally divided and in conflict with the most influential countries in the world and unable to attain its full potential. We are hopeful that a properly constituted and mandated TRC with South African support can transform Sri Lanka’s internal and external relationships in a positive direction if certain pre-requisites are honored. In particular for the process to be domestically and internationally credible the establishment of a TRC will require bipartisan government – opposition support that includes the UNP, TNA and SLMC. There also needs to be significant changes in the enabling environment. In South Africa many persons faced charges in the Courts and the TRC was a forum for confessions by the accused with amnesty granted only if there was a full and fair disclosure. The victims had no fears of intimidation or revenge attacks on them when they gave evidence before the Commission. This requires a Witness Protection Law and the independence of the judiciary and the police will need to be secured. It cannot be a white washing exercise or the demand for an independent international investigation will continue.